Canines have been helping the human race since centuries and undoubtedly own an appropriate crown of “Man’s best friend”. Be it on a domestic scale, or a war front, dogs have never let their human friends down. The therapeutic impact of canine’s companionship has led them into different sectors of human needs. These dogs that help to make life easier for the blind, physically challenged, deaf and wheelchair bound individuals are called assistance dogs. Guide Dogs: Guide dogs are for individuals who are blind or physically impaired. These canines are highly intelligent and have the amazing sense of verbal commands. They can be identified in public by a harness and a U-shaped handle which conveys communication between the assistance dog and his partner. Guide dog helps his partner by ensuring his safety by avoiding obstacles, signaling changes in elevation, locating objects, negotiating traffic and so on. Hearing Dogs: These canines are for people who have a hearing disability and need assistance for a regular living. Hearing dogs help their partner in alerting household sounds such as doorbells, alarm clocks, smoke alarms, a crying baby, and more. With a specific training, these dogs can be a great help for people with hearing disability. Service Dogs: Service Dogs are specially trained to assist people with disabilities other than vision or hearing. Service dogs are specially taught to support people who are wheelchair bound or with autism and other medical concerns. Service canines have a great impact on these individuals and make their life easier. To get the tag of an assistance dog, any canine has to go through special tests and screenings. Dogs have to go through special screenings for emotional sadness, have to prove their physical and mental health before they are selected for the training of an assistance dog. The training includes labor intensive plans, obedience test, task work such as retrieving, carrying, nose nudge, harness based tasks and much more. If a dog meets the required standards of the training tasks, then and then they are partnered to assist the person. Having an assistance dog is not at all difficult. If you too are looking for one, then just scan the details in the below mentioned website and you may know it all. ADI is a non-profit assistance organization. 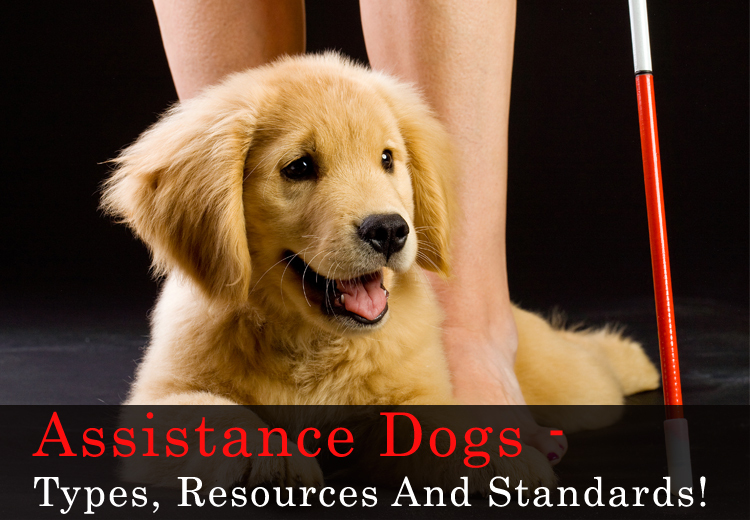 You can locate assistance dog programs in your local area through this website easily. This was all about assistance dog in brief. This basic understanding of assistance dogs may help you and your friends who may be in dire need of getting one. Share this information with your friends so that it reaches the person that really requires an assistance canine. « Big Brands, Big Savings! Pet Care Supplies Announces Cyber Monday Sale!